Registered unemployment in August 2018 – According to SECO surveys, at the end of August 2018, 107,893 unemployed people were enrolled in the Regional Employment Centers (RAV), 1,841 more than in the previous month. The unemployment rate remained at 2.4% in the month under review. Compared to the same month of the previous year, unemployment fell by 27,685 people (-20.4%). Registered unemployment in July 2018 – According to SECO surveys, at the end of July 2018, 106,052 unemployed people were enrolled in the Regional Employment Centers (RAV), 527 less than in the previous month. The unemployment rate remained at 2.4% in the month under review. Compared to the same month of the previous year, unemployment fell by 27,874 (-20.8%). Registered unemployment in June 2018 – According to SECO surveys, at the end of June 2018, 106,579 unemployed were registered at the regional employment agencies (RAV), 2,813 less than in the previous month. The unemployment rate remained at 2.4% in the month under review. Compared with the same month last year, unemployment fell by 27,024 people (-20.2%). Registered Unemployment in May 2018 – According to the State Secretariat for Economic Affairs (SECO) surveys, at the end of May 2018, 109’392 unemployed people were enrolled in the Regional Employment Centers (RAV), 10’389 fewer than in the previous month. The consumer sentiment index* stands at 2 points in April 2018, once again putting it significantly above its long-term average (-9 points). The index has fallen slightly since last January (5 points). But essentially, it has remained on the highest level since 2014. Unemployment registered in March 2018 – According to surveys by the State Secretariat for Economic Affairs (SECO), at the end of March 2018 130’413 unemployed people were registered at the regional employment agencies (RAV), 13’517 less than in the previous month. The unemployment rate fell from 3.2% in February 2018 to 2.9% in the month under review. Compared to the same month of the previous year, unemployment fell by 21,867 persons (-14.4%). Registered unemployment in January 2018 – According to SECO surveys, at the end of January 2018, 149,161 unemployed people were enrolled in the Regional Employment Centers (RAV), 2,507 more than in the previous month. The unemployment rate remained at 3.3% in the month under review. Compared with the same month last year, unemployment fell by 15,305 (-9.3%). Registered unemployment in December 2017 – According to the State Secretariat for Economic Affairs (SECO) surveys, 146,654 unemployed people were enrolled at the Regional Employment Centers (RAV) at the end of December 2017, 9,337 more than in the previous month. The unemployment rate rose from 3.1% in November 2017 to 3.3% in the month under review. Compared to the same month of the previous year, unemployment fell by 12,718 (-8.0%). On 20 December the Federal Council decided to unilaterally remove tariffs on imported industrial goods. Tariffs will also be reduced on selected agricultural goods not produced in Switzerland. Furthermore, the government wants to apply the Cassis de Dijon principle more widely by reducing the number of exceptions to it. These measures should lead to considerable savings of around CHF 900 million for businesses and consumers. Previously, on 8 December, the Federal Council launched a consultation procedure on simplifying the process for authorising foodstuffs under the Cassis de Dijon principle. Registered unemployment in November 2017 – According to the State Secretariat for Economic Affairs (SECO) surveys, at the end of November 2017 there were 137’317 unemployed registered at the Regional Employment Centers (RAV), 2’517 more than in the previous month. The unemployment rate rose from 3.0% in October 2017 to 3.1% in the month under review. Compared with the same month of the previous year, unemployment fell by 11,911 persons (-8.0%). 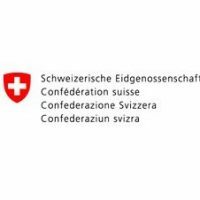 On Tuesday, November 14, 2017, the OECD presents the OECD Country Report 2017 on Swiss economic policy at a media conference. This takes place at 15.00 clock in the media center Bundeshaus, Bundesgasse 8-12, 3003 Bern. Registered unemployment in October 2017 – According to surveys by the State Secretariat for Economic Affairs (SECO), 134,800 unemployed people were registered at the Regional Employment Centers (RAV) at the end of October 2017, 1,631 more than in the previous month. The unemployment rate remained at 3.0% in the month under review. Compared with the same month last year, unemployment fell by 9,731 (-6.7%). Consumer sentiment in Switzerland remains above average. At -2 points, the overall index is virtually unchanged in October compared to the previous quarter (-3 points). Continued optimism regarding economic development and unemployment are supporting the positive outlook in particular, while expectations regarding the financial situation of households remain below average. Registered unemployment in September 2017 – According to the SECO surveys, 133,169 unemployed persons were registered at the regional employment services centers (RAV) at the end of September 2017, 2,409 less than in the previous month. The unemployment rate remained at 3.0% in the reporting month. Compared to the previous month, unemployment fell by 9’506 persons (-6.7%). Economic forecasts by the Federal Government’s Expert Group – autumn 2017* – Because of the weak performance in the first half of the year, the Federal Government’s Expert Group anticipates only moderate GDP growth of 0.9% in 2017. Registered unemployment in August 2017 – At the end of August 2017 135’578 unemployed persons were registered at the Regional Employment Services Centers (RAV), according to the SECO (State Secretariat for Economic Affairs), 1’652 more than in the previous month. The unemployment rate remained at 3.0% in the reporting month. Compared to the previous month, unemployment decreased by 7’280 persons (-5.1%). Switzerland’s real gross domestic product (GDP) grew by 0.3 % in the 2nd quarter of 2017. Manufacturing, the financial sector and the hotel and catering in-dustry significantly boosted growth, while developments in trade, public administration and the healthcare sector were sluggish. On the expenditure side, growth was driven by domestic demand, with positive momentum coming from both consumption and investment. Registered unemployment in July 2017 – According to the SECO, at the end of July 2017, 133,926 unemployed persons were registered with the regional employment services centers (RAVs), 323 more than in the previous month. The unemployment rate remained at 3.0% in the reporting month. Compared to the previous month, unemployment fell by 5’384 persons (-3.9%). Consumer sentiment in Switzerland is on the rise again in July. The index reached -3 points – well above the long-term average (-9 points). This confirms the recovery in sentiment from the lows following the sharp rise in the Swiss franc. In comparison to the survey of April, consumers’ expectations for economic growth and for the job market have become considerably more optimistic. Registered unemployment in June 2017 – According to the State Secretariat of Economic Affairs (SECO) surveys, 133’603 unemployed persons were registered at the Regional Employment Centers (RAV) at the end of June 2017, 6’175 less than in the previous month. The unemployment rate thus fell from 3.1% in May 2017 to 3.0% in the reporting month. Compared to the previous month, unemployment fell by 5’524 persons (-4.0%). Economic forecasts by the Federal Government’s Expert Group – summer 2017* – Although growth in the Swiss economy has steadily accelerated over the past two quarters, it has nevertheless fallen short of expectations. A further marked increase in economic momentum is to be expected over the coming quarters given the promising outlook for the global economy and positive leading indicators. Registered unemployment in May 2017 – According to the SECO surveys, 139,778 unemployed were registered at the Regional Employment Services Centers (RAV) at the end of May 2017, 6,549 less than in the previous month. The unemployment rate thus fell from 3.3% in April 2017 to 3.1% in the reporting month. Compared to the previous month, unemployment fell by 5,000 persons (-3.5%). Registered unemployment in April 2017 – At the end of April 2017, 146,327 unemployed persons were registered with the Regional Employment Services Centers (RAV), according to the SECO surveys, 5,953 less than in the previous month. The unemployment rate thus fell from 3.4% in March 2017 to 3.3% in the reporting month. With an index value of -8 points, Swiss consumer sentiment in April 2017 is virtually at its long-term average, having been slightly more optimistic in January (-3 points). While expectations for overall economic developments are above average in April, they are less positive than they were in January. Switzerland at IMF and World Bank 2017 Spring Meetings in Washington, D.C.
Federal Councillor Ueli Maurer as Head of the Swiss delegation, Federal Councillor Johann N. Schneider-Ammann and Thomas Jordan, Chairman of the Governing Board of the Swiss National Bank, will take part in the joint Spring Meetings of the International Monetary Fund (IMF) and the World Bank Group in Washington, D.C., from 21 to 23 April 2017. Prior to these meetings, Federal Councillor Ueli Maurer will represent Switzerland at the meeting of G20 finance ministers and central bank governors. Registered unemployment in March 2017 – According to the State Secretariat for Economic Affairs (SECO) surveys, 152,280 unemployed persons were registered at the regional employment services centers (RAV) at the end of March 2017, 7,529 less than in the previous month. The unemployment rate thus fell from 3.6% in February 2017 to 3.4% in the reporting month. Economic forecasts by the Federal Government’s Expert Group – spring 2017*. Swiss economic growth turned out disappointingly weak in the second half of 2016. However, the leading indicators are pointing to a clear upward trend in early 2017 and the global economy is sending out positive signals. The Federal Government’s Expert Group is therefore expecting growth in gross domestic product (GDP) to accelerate to +1.6% in 2017 (previously +1.8%) and to +1.9% in 2018 (unchanged), underpinned by domestic demand in particular. Registered unemployment in February 2017 – According to the State Secretariat of Economic Affairs (SECO) surveys, 159’809 unemployed persons were registered at the Regional Employment Centers (RAV) at the end of February 2017, 4’657 less than in the previous month. The unemployment rate thus fell from 3.7% in January 2017 to 3.6% in the reporting month. According to the State Secretariat for Economic Affairs (SECO) surveys, 164,466 unemployed were registered at the Regional Employment Centers (RAV) at the end of January 2017, 5,094 more than in the previous month. The unemployment rate thus rose from 3.5% in December 2016 to 3.7% in the reporting month. Consumer sentiment in Switzerland has significantly improved according to the latest survey*. The index has climbed to -3 points, rising above its long-term average. Consumers are clearly more optimistic about where they feel the economy is going as well as being less gloomy about the future development of unemployment and their own financial situation. The latest survey shows that there was hardly any change in consumer sentiment in Switzerland between July and October 2016*. The index currently stands at -13 points and has consistently come in at a value below its long-term average for over a year now. However, consumers believe that the outlook for the economy over the coming months is considerably better than in July. The assessment of price trends also underwent an upward adjustment. At the end of July 2016 there were 139’310 registered as unemployed, 183 more than last month. The unemployment rate remained at 3.1% in June. Compared to the previous month, unemployment increased by 5’556 persons (+ 4.2%). Seasonally adjusted 3.3%, one year ago 3.2%. Consumer sentiment remained unchanged between April and July 2016* and is now below the long-term average for the fifth quarter in a row. Most sub-indices also saw no major change, except regarding inflation, with the 1,200 or so individuals questioned expecting prices to rise more sharply over the next twelve months than they had in April.